Eugene Rodriguez studied humanities at UC Santa Cruz and received his Bachelor’s and Master’s degrees in music from the San Francisco Conservatory of Music in Classical guitar performance. He started youth group Los Cenzontles in 1987 and incorporated Los Cenzontles Mexican Arts Center in 1994. He has produced many musical CDs and was nominated for a Grammy for Best Musical Album for Children for his production of ‘Papa’s Dream’ a bilingual recording with Los Lobos and Lalo Guerrero. Eugene has produced three documentaries for the Cultures of Mexico in California series with support from the U.S. Mexico Fund for Culture, the James Irvine Foundation and the Ford Foundation. Eugene serves as board member of the Arhoolie Foundation. He has received recognition and awards that include the 2009 Community Leadership Award from the San Francisco Foundation, the 2009 Business Leadership Award from the San Francisco Hispanic Chamber of Commerce, 2002 California Arts Council Director’s Award, the Contra Costa County Arts Commission Arts Recognition Award and three awards from the U.S. Mexico Fund for Culture. He served as a nominator for the Creative Work Fund and as a panelist for the Ford Foundation’s Learning Meeting of Media, Arts & Culture (MAC) and Transnational Economic Justice Initiative (TEJI), the Ford Foundation’s Arts International, the II Forum on The Cultural Dimension of Transnational communities, Oaxaca City, Oaxaca, Mexico, the Latinization of America conference at the Annenberg Center for Communication at the University of Southern California, the Immigrant and Refugee Artists in the SF Bay Area for the Northern California Grantmakers, the Regional Dance Development Initiative in San Francisco, the Support Systems for Immigrant and Refugee Arts Conference for the Fund for Folk Culture in Santa Fe, New Mexico, the California Arts Council Touring Roster, the L.A. Folk Arts Commission, the Contra Costa County Blue Ribbon Arts and Culture Planning Committee and the Art Learning Initiative for the Alameda County Office of Education. Born in Alameda, CA Barbara attended liberal arts college in Kansas. She worked on Wall Street, followed by 21 years as manager of the northern California region of a trucking company, 5 of which were as corporate CFO. Barbara is a long-time supporter of Los Cenzontles and came to work here in February, 2008. She is the bookkeeper and handles distribution and royalties relating to Los Cenzontles’ collection of CDs and DVDs. Emiliano is the A/V & Production Coordinator at Los Cenzontles Mexican Arts Center, shooting and editing many of Los Cenzontles’ videos and managing all things audio/video production related. Emiliano started learning to play music at Los Cenzontles as a student and is now the bass player for the band. Fabiola is the first person you’ll meet when you walk through the doors of Los Cenzontles. She manages our after school academy program and coordinates all of the school’s events. Fabiola began studying at Los Cenzontles, herself, when she was just 15. She also sings and dances with Los Cenzontles. Lucina began studying at Los Cenzontles when she was 15. Since childhood she has been involved in dance and competed in banda dance tournaments in her early teens. 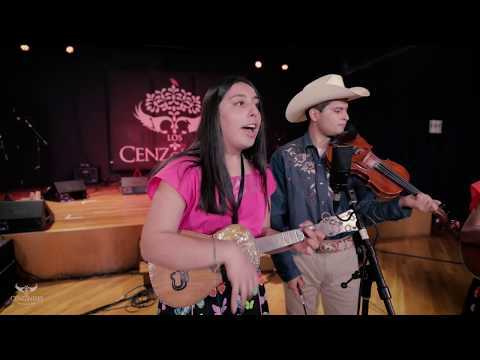 At Los Cenzontles she has intensively studied the traditional zapateado in various styles. In addition, Lucina sings and dances with Los Cenzontles. As the External Education Programming Coordinator, Lucina has assumed a leading role as Cultural Consultant to other communities. Marie-Astrid is largely responsible for making Los Cenzontles the creative space that it is. During the renovation of Los Cenzontles she created the color scheme and tile design and painted the walls herself. Marie-Astrid has early childhood education training and works well with children of all ages. Along with her mother France Do, she creates most of Los Cenzontles costumes.